The evening will begin with a “Know your Farmers” cocktail hour where you can mingle with area growers, learn more about the store’s progress, and find out how you can help! Your ticket will include a multi-course meal that highlights and celebrates the hard work and expertise of the growers and producers in our Great Falls Region. 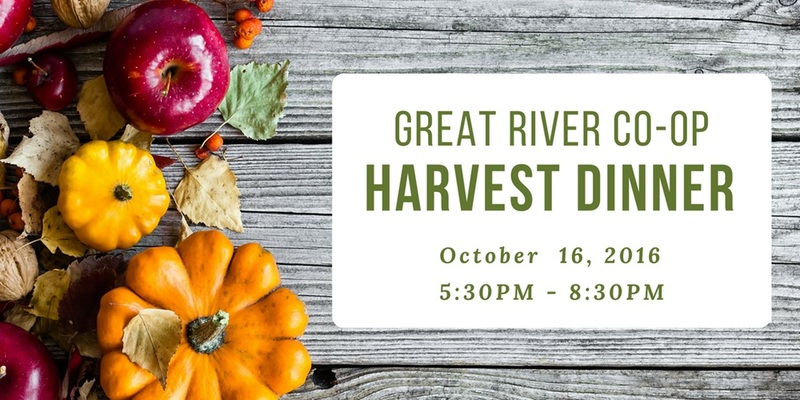 If you would like to contribute to the dinner, sponsor the event, or provide an item for the silent auction, please email us at info@greatriverfoodcoop.com.